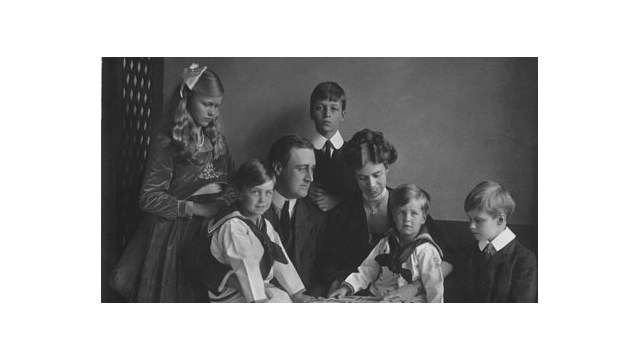 ARLINGTON, VA; October 22, 2014 – PBS today announced the final national ratings for THE ROOSEVELTS: AN INTIMATE HISTORY, the landmark Ken Burns documentary that premiered on PBS stations on Sunday, September 14 and ran for seven consecutive nights. According to Nielsen Live +7 household data, across the seven nights of the series, THE ROOSEVELTS reached more than 33.3 million viewers who tuned to PBS member stations to watch. THE ROOSEVELTS had an average rating of 6.1 for all seven episodes (an average audience of 9.2 million P2+), making it the third highest-rated Ken Burns film following THE CIVIL WAR (1990) and LEWIS AND CLARK (1997). Among those households that watched THE ROOSEVELTS, the average time spent viewing per household was more than four hours (248 minutes). The first episode of THE ROOSEVELTS, which premiered on Sunday, September 14, was among the most-watched shows that Sunday night, earning an average national household rating of 7.47 and an average audience of 11.7 million viewers (Nielsen Live+7 data). The episode beat most Sunday shows, including “Big Brother,” “Unforgettable,” the Miss America pageant, and others, including everything on cable that night. Just as important, episodic ratings were sustained throughout the week, with Thursday’s episode #5 scoring the second-highest household rating (6.5) and delivery (7.6 million P2+) of the series. The week that episodes #2-#7 of THE ROOSEVELTS were broadcast represents the most-watched week (Monday-Sunday) on PBS in 20 years, since the week in 1994 that episodes #2-6 of BASEBALL from Ken Burns premiered. In a first for a Ken Burns project, PBS made the entire 14 hours of THE ROOSEVELTS available for streaming for two weeks beginning the day following the premiere. Viewers could access all seven episodes through PBS stations’ video sites, pbs.org/theroosevelts, and PBS station-branded digital platforms, including ROKU, Apple TV and Xbox. The full episodes were streamed more than 1.85 million times, with one-third of the streams delivered via PBS’ over-the-top (OTT) apps. Further, THE ROOSEVELTS has been a best-selling title on Amazon, iTunes and ShopPBS.org.